JRs Tree Service offers a wide variety of services. Hire us, a licensed and insured arborist to maintain your trees and scrubs on your property. We are a highly qualified tree service professionals that love trees and would like to discuss plans for tree maintenance, tree care, and overall landscape improvement. After tree removal – the stump remains. Stump removal needs to be done right. Be sure to call us. It is crucial to hire a talented and professional arborists to trim and prune your trees so your trees can continue to grow to reach full potential. Tree trimming is a crucial part of our responsibility having healthy trees that will continue to grow. We’ve understand that trees are an intricate part of Queen’s and the history. Also, trees keep a home shady and provide beautiful foliage to the Queen’s landscape. We care about trees. We understand that trees must make way for electrical lines and electrical utility poles. Therefore we have created a system to match with federal and state regulations for minimum clearances between trees and power lines. We are licensed, insured and professional foresters, and we will trim, prune or remove trees when it comes to public safety. What Exactly is Tree Trimming? JRs Tree Service trims young trees to develop and encourage proper growth habits at an early stage. Queens tree trimming companies will often trim trees depending upon the needs of that tree and what time of year. 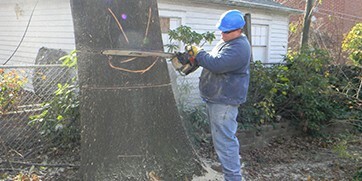 Correct Trimming of trees will maintain a strong tree stump or structure. Trimming trees will prevent safety hazards such like low branches that are subject to storm damage near a sidewalk or driveway. When we remove Tree it will includes bringing the tree down to a stump. For the remainder of the job, we can chip or haul rest of the tree. We are a company that provides tree removal in Queens and the small branches or chip the branches for you on site. Cutting the trunk into small sections can be done and left on location. If you want the stump to ground up and removed – this can be done too. Stumps are ground up by the very particular tool. Therefor may be an additional cost. Roots are not included in the additional fee. In Queens there are alot of very old trees where the roots have come up into the pavement or disrupted hard. Wood splitting can also be done for a fee. This too will be done with an additional and specific tool. Whether you are looking for around-the-clock emergency tree service or want an unsightly or damaged tree removed, turn to JRs Tree Service. We have been in business for over 25 years and are approved by NYC Dept. Of Parks & Housing Authority. 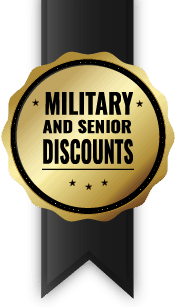 Call to inquire about our senior and military discounts! We value the attractiveness and environmental impact trees provide the Queen’s area. Law requires us to maintain minimum clearances for tree trimming and pruning. JRs Tree Service is proud to be the highest rated tree service in Queens Ny. Our reviews speak for them self. After tree removal – the stump remains. Stump removal needs to be done right.